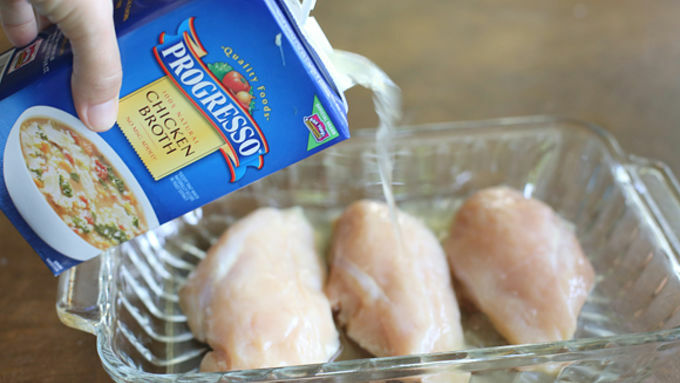 Preheat oven to 350° F. Place chicken in a baking dish and pour the chicken broth over the chicken. Season with salt and pepper or desired seasonings. 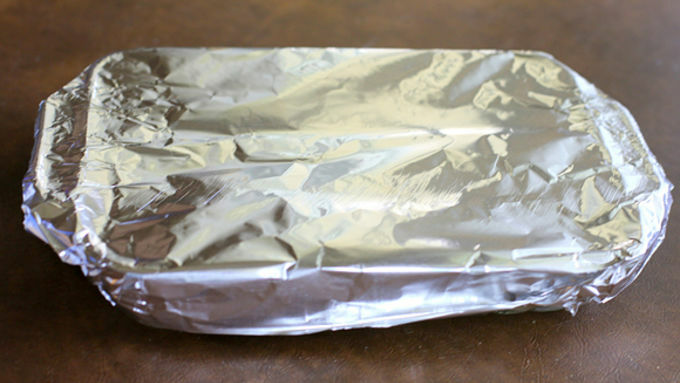 Cover with aluminum foil tightly and bake for 30-40 minutes or until chicken has reached the temperature of 165° F.
Serve with broccoli and mashed potatoes. One of the number one questions for any cook is "How do you cook your chicken?" Stay tuned, and I’ll show you how to bake chicken my way! 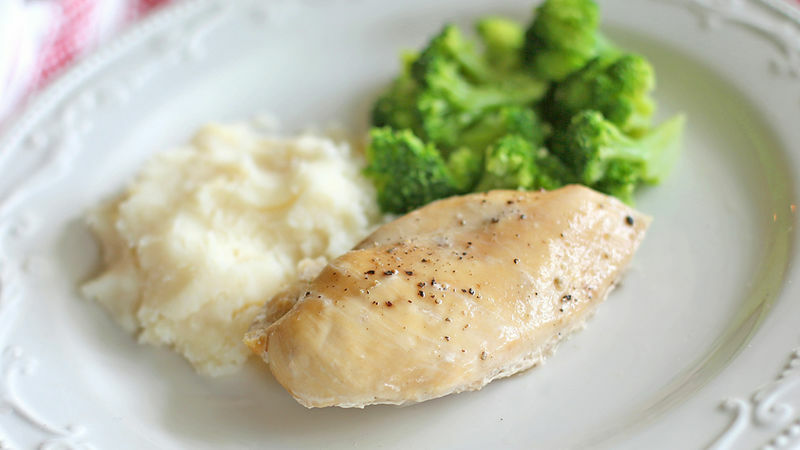 I cook a lot of chicken in my house, and while sometimes I do it in the slow cooker and sometimes on the grill, the easiest way to get a moist flavorful chicken breast is to bake it. To keep your chicken from getting dry, most important of all, do not over-bake it. Second, pour your favorite sauce on top before baking. It traps all of the moisture in. It doesn't have to be fancy. You could use a marinara or Alfredo sauce, but for a healthy version, just add some chicken broth. 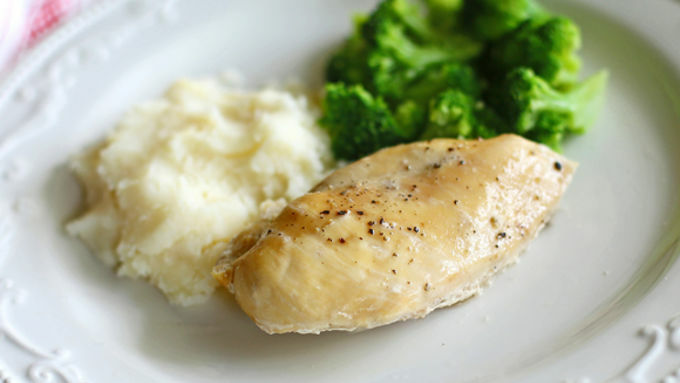 This Easy Baked Chicken has enough flavor to eat by itself, but it's also great to cook a lot of ahead of time and use in your chicken recipes throughout the week for a quick meal. You could try any seasoning you like: Cajun, Greek, lemon pepper, garlic, paprika, or just plain salt and pepper. 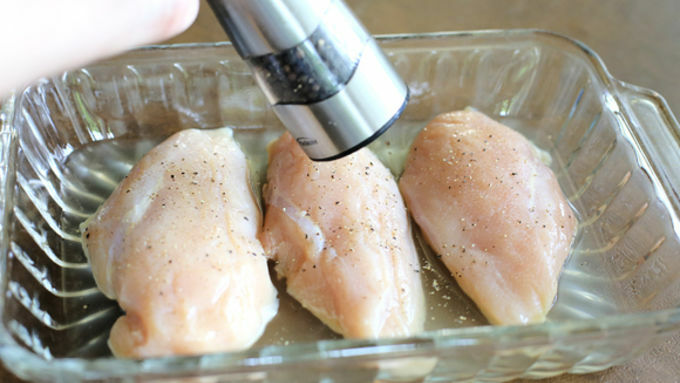 There's nothing worse than unseasoned chicken, so add something to give the chicken some personality. Make it an easy and filling meal by adding some Green Giant Broccoli Steamers and Betty Crocker Creamy Butter Potatoes. This chicken is so moist when I cut into it. Dinner is done!